January 25, 2003: Pacific Cup Tournament: American Dragon defeated Aaron Idol via pinfall in Surrey, BC..
August 2, 2004: Aaron Idol defeated Jack Evans via pinfall in Abbotsford, British Columbia..
April 22, 2005–NWA ECCW: Aaron Idol defeated Memphis Raines in the first round of the Pacific Cup Tournament..
April 23, 2005–NWA ECCW: Aaron Idol beat J.J. Perez (semi-finals) | Aaron Idol beat Puma and American Dragon in the finals..
May 27, 2005–NWA ECCW: Aaron Idol won three-way over Memphis Raines and Chance Beckett..
June 17, 2005–NWA ECCW: Models Inc. defeated Aaron Idol & Chance Beckett..
June 18, 2005–NWA ECCW: Aaron Idol defeated Mike Dempsey..
July 23, 2005–Portland Wrestling: Aaron Idol defeated Hans Mueller..
September 17, 2005–Portland Wrestling: New Attitude (Scotty Mac & Aaron Idol) beat Hans Mueller & Caden Mathews by DQ..
October 21, 2005–NWA ECCW: Aaron Idol defeated Dropkick Murphy to win the NWA Canadian Junior title..
December 23, 2005–NWA ECCW: Aaron Idol defeated Dropkick Murphy..
February 17, 2006–NWA ECCW: Aaron Idol & Nelson Creed & Rage beat Mike Roselli & Mike Desheezits & Sweet Daddy Devastation. February 23, 2007—NWA ECCW: Nelson Creed defeated Aaron Idol in Vancouver, British Columbia ..
~~~LATER: Aaron Idol & Kurt Sterling defeated Nelson Creed & Randy Tyler in a tag team match..
March 2, 2007–NWA ECCW: Nelson Creed defeated Aaron Idol with Bryan Danielson as the special guest referee..
~~~Bryan Danielson (who was acting as Special Guest Referee) then grabbed Aaron Idol and made him quickly tap out! March 30, 2007–NWA ECCW: Aaron Idol vs. Ladies Choice & Randy Tyler ended in a No Contest in a Handicap Match! 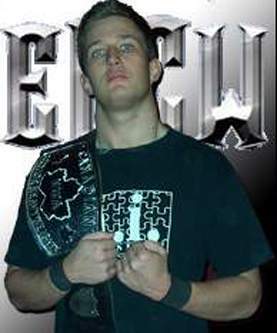 April 21, 2007—NWA ECCW: Aaron Idol defeated Nelson Creed in Port Coquitlam, British Columbia ..
May 4, 2007–NWA ECCW: “American Dragon” Bryan Danielson defeated Aaron Idol in Surrey, British Columbia..
May 5, 2007–NWA ECCW: Nelson Creed defeated Randy Tyler and Aaron Idol by Countout in a 3-WAY..
May 25, 2007–NWA ECCW: Aaron Idol defeated Ladies Choice by Submission in Surrey, British Columbia..
June 22, 2007–NWA ECCW: Aaron Idol defeated Randy Tyler in a Steel Cage to win the NWA ECCW Heavyweight title..
~~~MAIN EVENT: Aaron Idol & Veronika Vice defeated Nikki Matthews & Scotty Mac in a Mixed Tag Team Match..
August 18, 2007–NWA ECCW: Aaron Idol defeated Sid Sylum to retain the NWA ECCW Heavyweight title..
~~~~~LATER ON: Aaron Idol & Veronika Vice defeated Nikki Matthews & Sean Sylum in a Mixed Tag Team Match..
August 18, 2007–NWA ECCW #2: Aaron Idol defeated Kurt Sterling to retain the NWA ECCW Heavyweight title..
September 28, 2007–NWA ECCW (SuperGirls): Nikki Matthews & Sid Sylum defeated Aaron Idol & Veronika Vice..
September 28, 2007–NWA ECCW (SuperGirls): Angel Williams & Scotty Mac defeated Aaron Idol & Veronika Vice..